If you're buying a condo that has yet to be built or is under construction, what legal issues should you consider? If you’re thinking of buying a condo, there are legal matters you need to consider. When it comes to condo advice, lawyers Joshua Sprague and Nancy Johnson of Burke-Robertson LLP have got it in spades. That’s why I’ve asked them to dish it out to prospective buyers before they’ve taken the plunge. Q: What is the first thing a buyer should consider before shopping for a condo? A: First, do you want to live in a condominium? Is condo life for you? You will be subject to group living in which rules and regulations are decided by the collective and all of the other various issues that can arise in a group setting. Secondly, if the decision to live in a condominium has already been made, the reputation and track record of the builder should be paramount. Q: That’s true; you absolutely need to research the builder before you purchase. What is your advice for buyers purchasing new condos that have not broken ground yet? A: Be ready to roll with the punches. Builders, by necessity, build flexibility into the Agreement of Purchase and Sale to accommodate both scheduling issues and design and build issues that may alter the final unit design. You may not get the unit exactly as viewed in the showroom or in the design drawings. Q: You’re right: the devil really is in the details when it comes to condos. I can’t tell you how many times I’ve heard of buyers being confused over what design elements are actually included. Often the builder sells a “base package” but it’s important to find out what that really means. Don’t assume that anything is included, despite what you see in the model suite or what was told to you in the sales office. The contract always includes the bottom line. So what would you suggest to buyers purchasing condos that are already built, but have not yet been finished? A: There is generally less risk when purchasing a condo that has been built, but not finished. It is that much closer to completion and buyers may be able to fit-up the unit exactly as they wish, rather than being subject to unknown changes. Q: To add to that, when you’re buying a condo that’s already been built, make sure you fully understand any spatial changes introduced during construction. For example, a vent, stairway or elevator might create a jog in your unit. Perhaps this wasn’t initially considered, but the builder had to implement this change in the building phase. 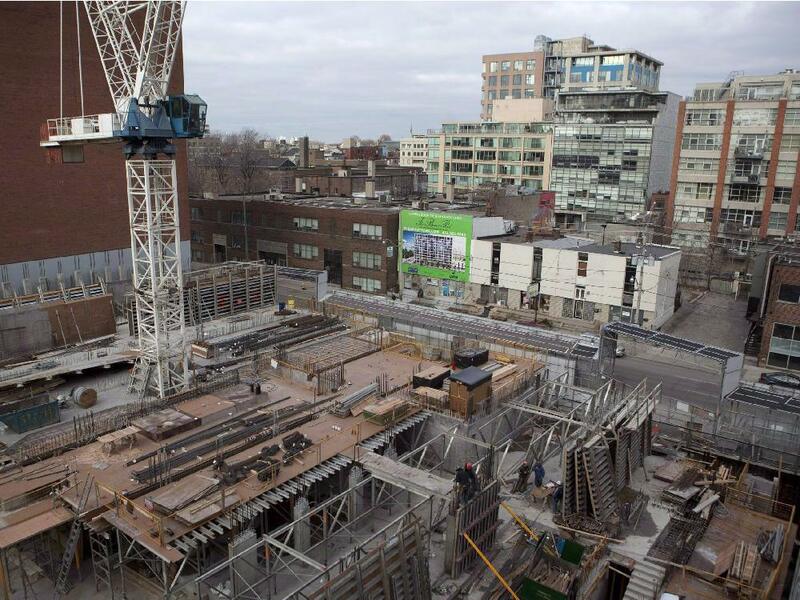 What are some of the biggest risks a buyer has when buying in a new condo development? A: In general, two of the biggest risks are potential construction defects, which can occur on a large scale, and the potential that the estimated budget is not adequate to meet the ongoing expenses of the condominium corporation, which may result in early increases in the condominium fees. Q: That’s a good point and something to consider, especially if you’re on a budget. We’ve pretty much covered purchasing directly from the developer, but how about buying from an individual before the building is completed? Should a buyer purchase a pre-sold condo from another buyer if the condo has not yet been completed? A: In most cases, builders restrict the ability to do so. If permitted, the new buyer will step into the shoes of the original buyer and obtain all of the rights and obligations of the original buyer. Q: Are there any legal risks to moving into a new condo building if the building has not yet been completed? A: Deposits paid by buyers prior to completion are protected by legislation, but otherwise the greatest risk is that the condominium will never be declared and a buyer would have to vacate the unit and forego the interim occupancy fees paid to the builder. Purchasing a condo can be overwhelming, so be sure to protect yourself and your asset. Next time: Lawyer Russell Gibson, a member of the Ottawa chapter of the Canadian Condominium Institute, weighs in with his advice before you buy.